**JUST REDUCED $75K**Zoned Commercial - Land can be subdivided - Live within walking distance of your own business - Prime location with many possibilities, located near the Monroe Airport (on the corner of Goldmine and Sanford Ln). The property is currently zoned Light Industrial-Perfect for a body shop, auto body repair, etc.The property consists of a 60 x 30,3 bay shop with an office. The property also includes a 3 BD /1.5BA, 1650 sq ft brick home. 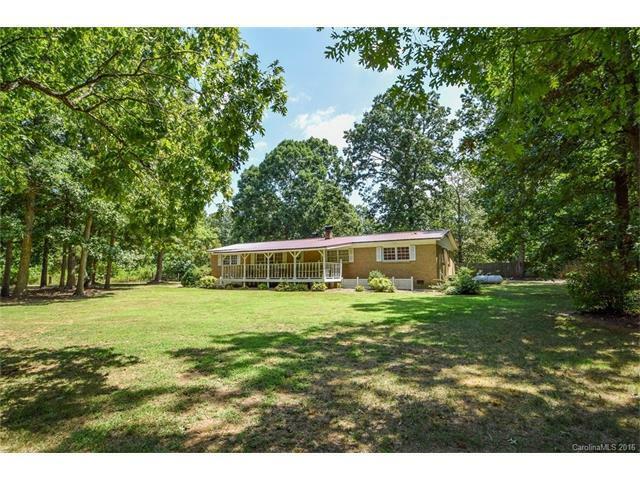 The 7.78 acre property is wooded and private-Could also be a perfect investment opportunity! Offered by Emerald Pointe Realty. Copyright 2019 Carolina Multiple Listing Services. All rights reserved.